Author: Michaels, Kasey Set In . 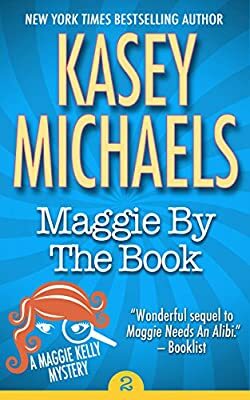 . .
Best selling mystery author Maggie Kelly has a problem, and his name is Alexandre Blake, Viscount St. Just, who until recently resided in her creative mind and those best selling books set during the time of the English Regency. But now, somehow, he's out and about, residing in her New York apartment with her, along with his faithful sidekick (and his comedy relief in those same books), Sterling Balder. Alex Blakely (his new name) is not happy living off his creator's largesse, and sees a chance to improve his fortunes by becoming a contestant in a Cover Model contest that will top off the We Are Romance (WAR) convention to be held in Manhattan. To do that, he has registered Maggie, Sterling and himself for the convention, an affair Maggie has deliberately avoided for five years. Since she still believes Alex and Sterling aren't ready to be let off the leash, as it were, she reluctantly attends with them. Within moments of their arrival at the convention hotel, the mischief begins, and within days, those pranks against WAR members give way to murder, one Alex naturally decides he, the great amateur Regency sleuth, will solve. Publishers Weekly: "An audacious premise with deliciously funny results"